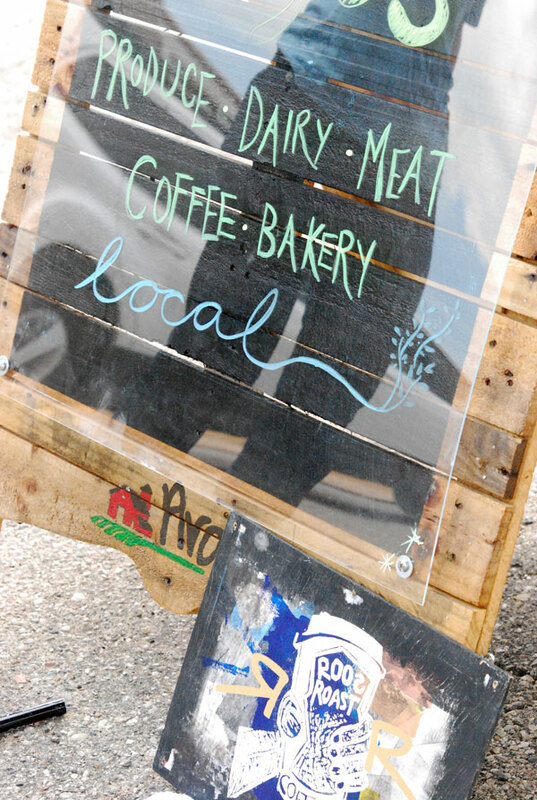 Met Laura of Argus Farm Stop, who was in the middle of coloring in the sandwich board sign outside the shop. [photo] Preparation continues for the opening in August. Inventory will include meat, eggs, and locally roasted coffee. Corn “hair” on the roof has not yet tasseled out. I ran into Laura at the Grange and she told me you had stopped by!